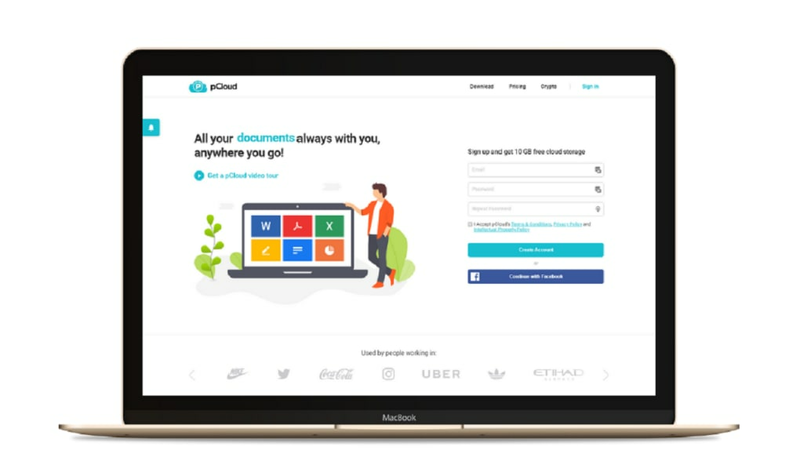 pCloud is a user-friendly software application which supplies users with an efficient means to store their personal data. One interesting feature is that up to 10 gigabytes of free storage space is provided to clients after a simple and straightforward registration process that takes only a matter of minutes. 10 gigabytes of free storage upon registration. The ability to liberate hard drive storage space. All uploaded images and multimedia files will retain their original resolution. File links can be shared with others. Live chat support is not offered. Users will have to pay to access additional client-side encryption services. There are no productivity applications included. pCloud is essentially employed to enjoy a redundant means to back up personal or professional files. Like other cloud storage solutions, this data is sent to a remote location. Issues such as a hard drive failure or a registry corruption will, therefore, not permanently erase sensitive information. This system mirrors many of the same functions as a network drive, as users can access all of their information as if it were stored within their computer or mobile device. This is highly beneficial for those who would otherwise be concerned about such information requiring too much system memory. It is also important to mention that this cloud storage service employs 256-bit AES encryption; a massive benefit in regards to data security while online. pCloud comes equipped with a host of powerful utilities & tools. It can nonetheless be argued that its most potent feature is the ability to provide users with 10 gigabytes of storage space for free (after registration has been completed). It is also possible to add to this cache by performing additional tasks such as downloading the smartphone application and referring friends to the service. Paid plans are thereafter offered at incremental price packages. Other features include an intuitive dashboard, options which are clearly displayed across the top of the main screen and client support if a question arises. pCloud is available for Windows, Mac and Linux operating systems. There is likewise a smartphone application suited for both Android and iOS users. 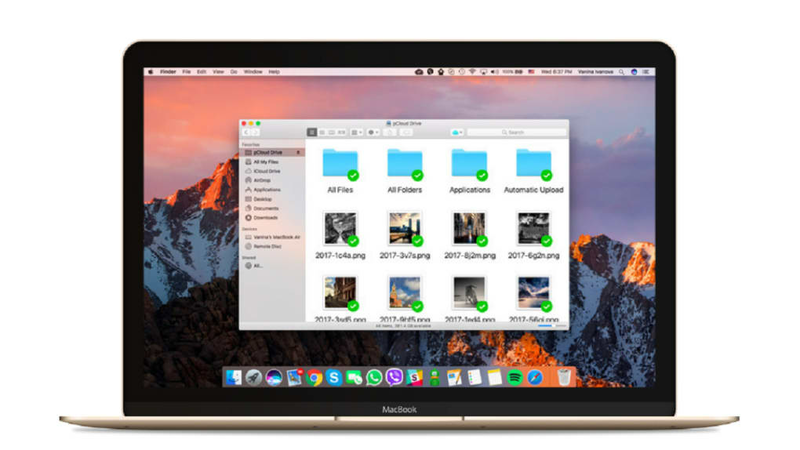 A final useful feature involves the ability to sync a specific file or folder directly with the pCloud storage system. This data can thereafter be deleted from a hard drive in the event that free memory is needed to enhance system performance. Whether referring to multimedia files, documents or images, the upload and download speeds are very impressive. Furthermore, its applications are easy to use, and even those with little prior cloud storage experience should not encounter any issues. These advantages are then combined with a simple registration process, lifetime storage limits up to 2 terabytes and superior levels of encryption. Anyone who has been searching for a fully functional cloud-based method to secure their files should be pleased with what pCloud has to offer. 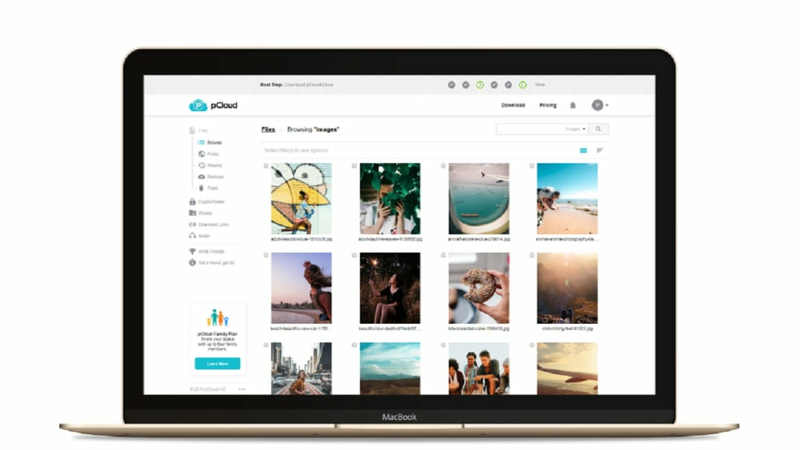 pCloud gives the ability to store and use in real time all your photos, videos, music and documents on every device you own. It does not use the storage of your device unless you want to. You can share download links or invite people to folders so you can collaborate. No other cloud storage is actually a cloud storage since it uses your device memory to "Sync" your files. 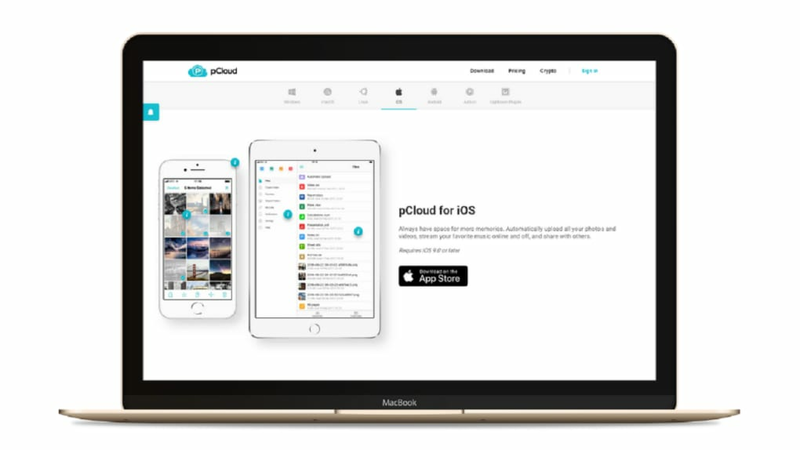 pCloud gives you the option to choose if you want your files to be stored only in the cloud. Only if you want offline access you will have to "Sync" your files which will than use the it's storage. Speed is another differentiatior since we use a different faster protocol for data transfer. What do you think about pCloud? Do you recommend it? Why?